LOL no, A little old ladies house in Colorado, but who knows she could be quite the hip grany! Looks great, Brian. The faux paint was a good call, at first I thought it was a figured maple. If I would have known that you are in Colorado then I would have stopped by when I drove through there in December! Yep, maybe next time. And, let me know if you are ever in the Twin Cities! It looks very elegant. I really love the arch top and the walnut. Great job! Beautiful. I love the back lighting too! Wow! 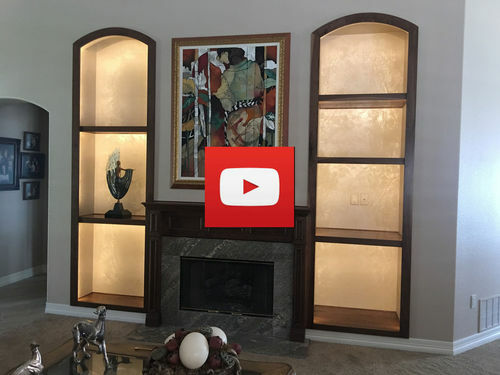 These built in bookcases are a very attractive accent. Nice work!